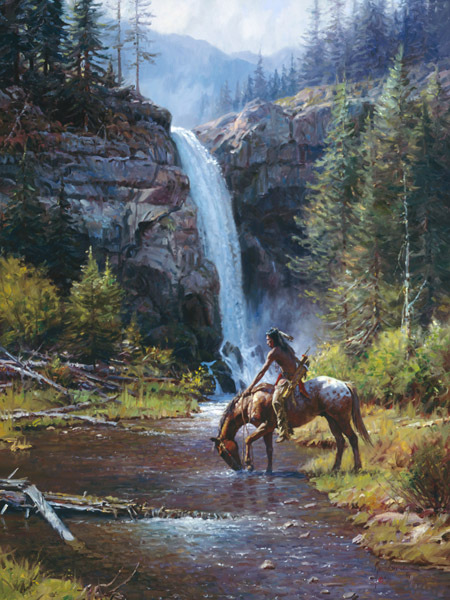 Peaceful Morn by Martin Grelle ~ The quiet moment. Rushing water. The sun sparkling on the stream A solitary figure pauses with his horse to take just experience the moment. So simple, yet so appealing.